I looked around for a printable of the verse but I didn’t find one that I liked, so I decided to make one myself. 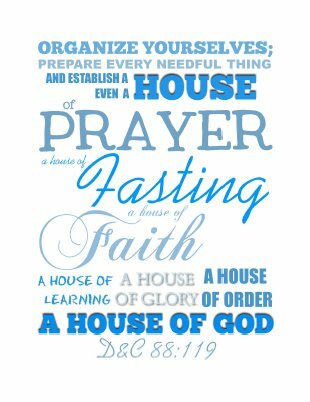 If you want to get your house in order this year, too, feel free to print one out! Click on the preview to go to the full-sized pdf. Here’s a picture of it hung up. I like the cool blues with the wooden frame. It’s calming. 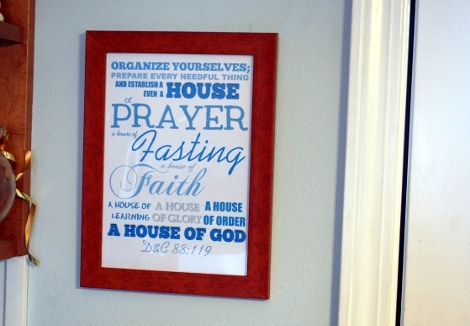 I put it where I’ll have to pass it every time I go to the kitchen or into the dining room, so I can read it often.